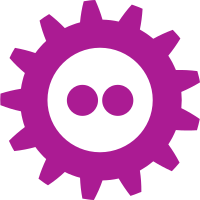 The recording from Nick Desaulniers #FOSDEM2019 talk "Compiling the #Linux #kernel with LLVM tools" is online. - Allow "abortion" after the child is BORN , its "her choice"
I think do you really don't know a feminist girl, I have been hanging out with feminist since more than 20 years and I don't really understand from where are you taking that information. Well hang out with some feminist for some years (the anarchist in my opinion are the best one) and then we can talk. So you want to refuse reality and whats been happening in the last 3-5-8 years and go on a person's "live experience"
Maybe that's your reality, not mine, have fun.